This coffee will be fresh roasted for you. 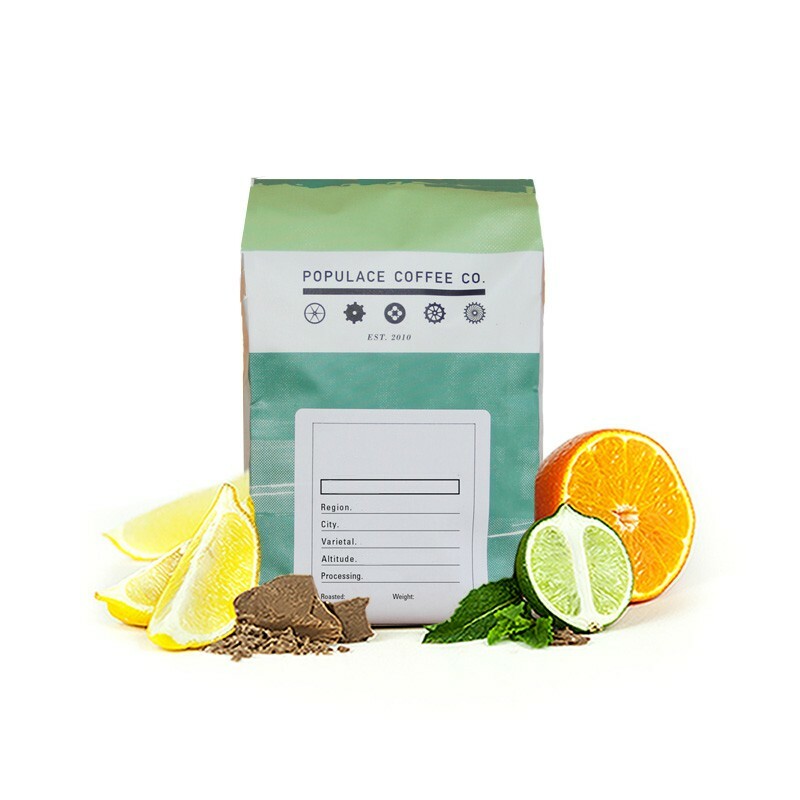 We expect Populace Coffee will roast and ship this coffee in 1-2 business days depending on their roasting schedule. The Decaf Colombia Caldono was carefully roasted for you by Populace Coffee. This coffee was sourced from the coffee growing region of Cauca in Colombia. Through persistent dedication to coffee quality, various small producers produced a spectacular crop of coffee. This coffee was grown at an altitude of 1,400 - 1,800 meters. This coffee was decaffeinated using a unique process called EA Sugarcane that is 100% natural and retains much of the coffee's flavor with almost no caffeine. This is truly an exceptional cup of coffee with flavors of citrus, caramel, and honey.